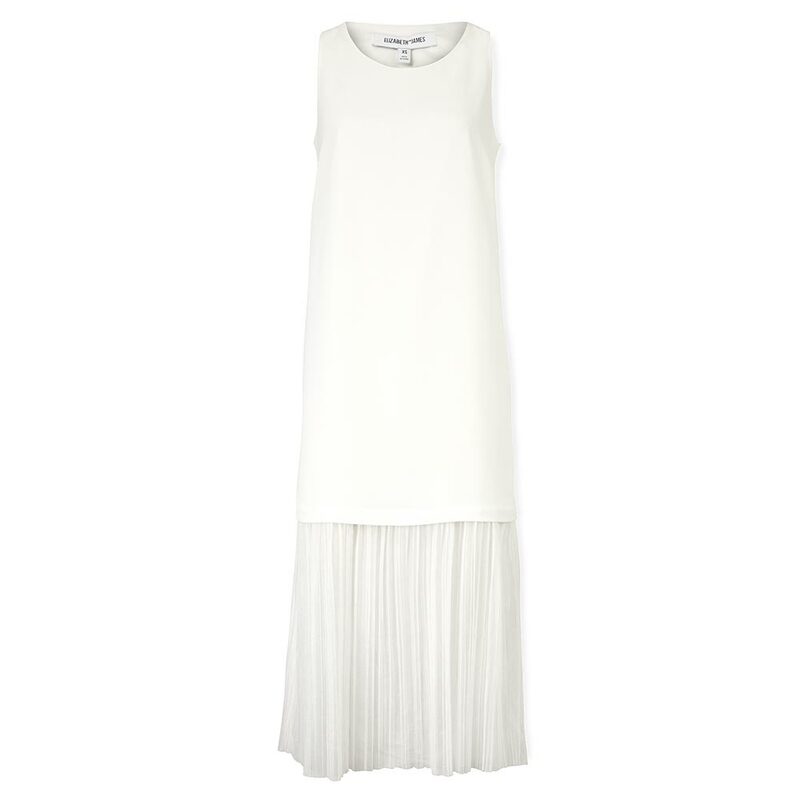 Nothing says high summer style quite like white and this beautiful ethereal dress from Elizabeth and James has holiday nights out written all over it. With a pretty sheer panel from the hemline, this ivory shift will show off your sunkissed glow like a dream. 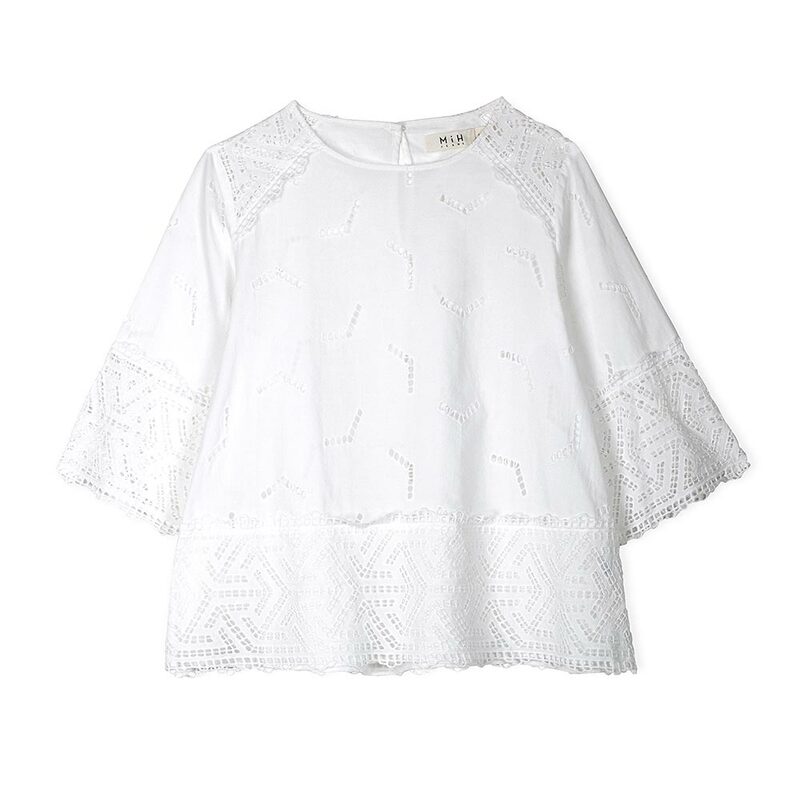 An embroidered white top is always a brilliant summer buy – it never goes out of style and you can dress it up or down. MIH’s Phlox Top is a gorgeous of-the-minute take on the traditional Broderie Anglaise top. We’ll be going from beach to bar in ours teamed with denim shorts over a bikini. 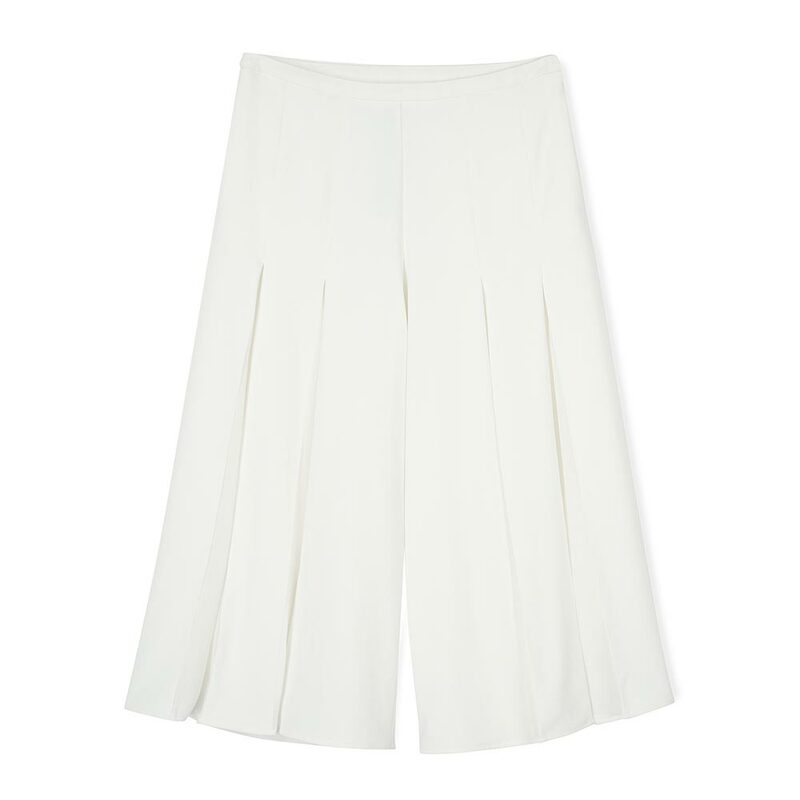 Turn heads in these sophisticated culottes from Reiss. For the ultimate sightseeing outfit, go all-white in a simple white vest top and a pair of metallic sandals, or pair with a lace top and statement wedges for a hot dinner date.